Take a look at Mortal Kombat 11's Jade and how she handles herself in combat before the game debuts later this month. Mortal Kombat 11 is looking just as brutal as ever, which is great news for stalwart series fans looking for more of the same, and we've been bringing you extended previews of what the characters have to offer. This time around, we're bringing you Jade, following up our coverage with Skarlet. Jade made her first appearance in Mortal Kombat 2 as a hidden and unplayable character that was originally a palette swap of Kitana. Now that she's come into her own, she's a force to be reckoned with in Mortal Kombat 11. We've got around 15 minutes of pure, unadulterated fun as we go through Arcade mode and Jade faces off against the likes of Scorpion, Kabal, and Baraka to emerge victorious with her trusty staff. In the video, you can check out some of Jade's more gruesome Brutalities, Fatalities, and combo moves tied to the character. You're going to want to study her list of moves before just jumping into the game and taking on all comers, but she's an intuitive fighter that won't take long to get the feel of, thankfully. If it's Fatalities you're interested in, though, be sure to check out our growing list of all Fatalities in Mortal Kombat 11 to see all the gnarly ways you can take out your opponents in the game later this month. There are several other fighters listed on the Mortal Kombat 11 roster right now, including Liu Kang and Jax Briggs – and their Fatalities are definitely awesome-looking. 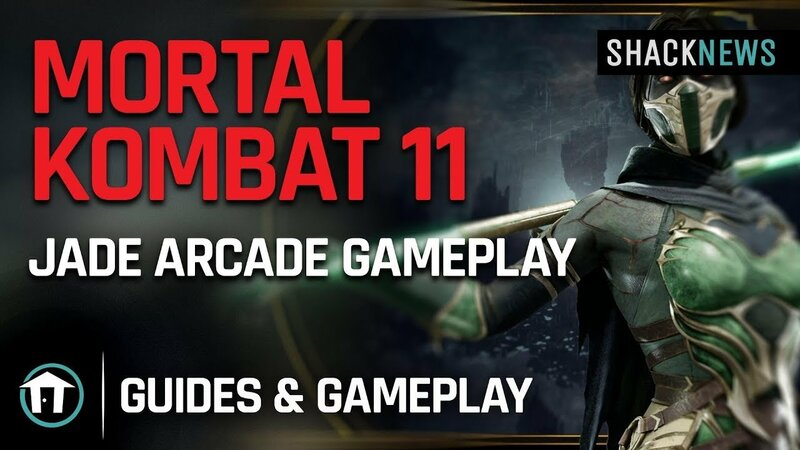 For more information on Mortal Kombat 11 and everything it has to offer, check out our Mortal Kombat 11 hub. Don't forget to pick the game up when it debuts on April 23, 2019 on Xbox One, PlayStation 4, PC, and Nintendo Switch. And don't you dare move a muscle without subscribing to Shacknews and GamerHubTV on YouTube for more content like this.